The Friends of the National Archives Southeast Region are pleased to sponsor the presentation "DNA and Genetic Genealogy in 2013“ with Debbie Parker Wayne, cg, cgl, on July 9th, 2013. Summary: Learn where we are today using DNA for genealogy. Maximize Y-DNA, mitochondrial DNA, and autosomal DNA test results to contribute to genealogical research goals. A general introduction to using DNA testing for genealogy and where we are today. It covers Y-DNA for the direct paternal line, mitochondrial DNA for the direct maternal line, and autosomal DNA for the other ancestral lines. You will learn what DNA testing is and how to obtain the tests, how to use the test results to maximize the contribution to genealogical research goals, and which tests can be used for ethnic studies based on the current technology. Presenter: Debbie Parker Wayne is a board-certified genealogist and genealogical lecturer experienced using DNA analysis, as well as more traditional techniques, for genealogical research. 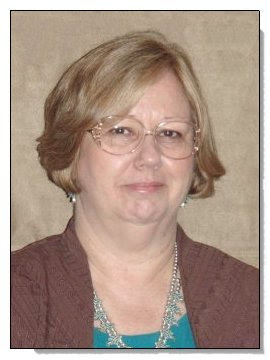 She is a Trustee for the Board for Certification of Genealogists Education Fund and the Texas State Genealogical Society's DNA Project Director. Debbie spoke on DNA at the Texas General Land Office's 2011 Save Texas History Symposium, the first DNA Day seminar sponsored by the International Society of Genetic Genealogists, the Forensic Genealogy Institute, the 2013 National Genealogical Society conference, and will speak at the 2013 Federation of Genealogical Societies Conference. She also speaks on DNA and other topics at regional conferences and local societies in Texas and the surrounding states. For more information see http://debbiewayne.com/. about joining the Webinar. You will use your unique URL in your confirmation email to logon to the live broadcast on the 9th of July. Is there a facility to watch anytime in case I miss the live broadcast? Will this webinar be archived and available for viewing at a later time, for those who are unable to join it live? For those unable to join the webinar live, will it be recorded and available for viewing at a later time?